So, did I say yet this this is the last summer I'll spend in Florida? Holy cow it's been hot. Other years I've been either in a car, my studio or our house and now we are in a "tin can" and outside more. With that in mind I think next season we will be north...next to a lake..with no alligators or snakes! Come September we are going to Thomson, Georgia to Big Hart Campground for those wonderful 14 days! Our site will be right on the lake and I plan on being it it daily. 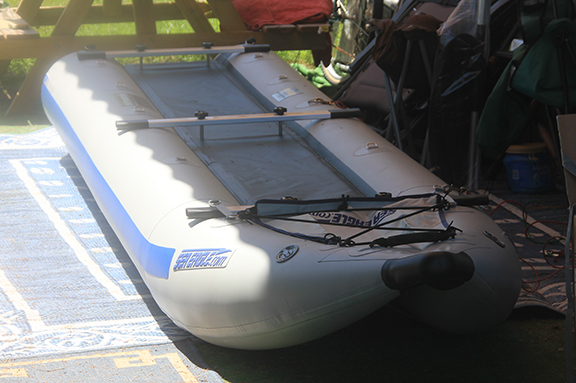 And, to plan for our fun vacation and other enjoying days down here in Florida, we got an inflatable kayak,boat. It's a Sea Eagle Pontoon boat. The seats aren't attached right now but we did try them out. They are also inflatable seats but I'm finding them somewhat tippy. I deflated the seat and kept the back inflated and I think that will suit my needs. Tomorrow or Saturday we will do a Sea trial with our new acquisition. We both had kayaks but sold them when we moved out. They were great but carrying them was difficult since they were massively heavy, plus how could we transport them with the Coach. So, this folds right up and pops right into the back of our Pathfinder. Perfect! We need to keep it inflated over night to make sure there are no leaks! Pictures to come from our sea trial! Anchors away my boys!!!! 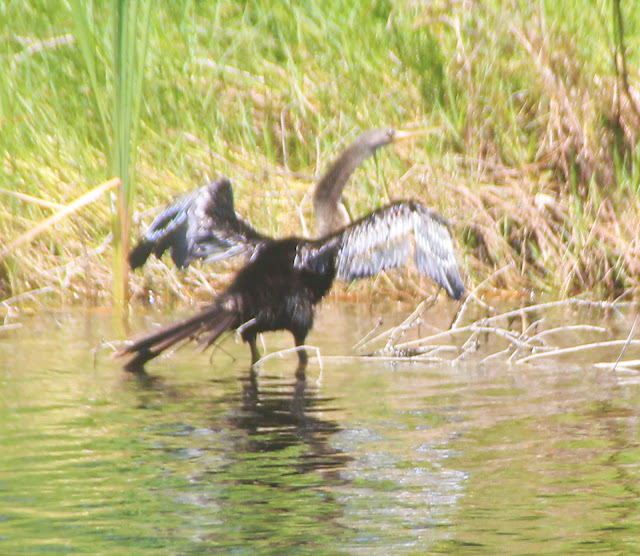 A bit blurry but this is an Anhinga or "snake bird" When he swims he brings his neck up out of the water like a snake. Once his wings get wet he can't fly until they dry so he stands across the lake and spreads them so the wind, (what wind) drys them off. This is Ozzie. His favorite spot in the coach is on the dash board. I put a rug up there so his nails won't pierce the leather and he loves watching the world go by. With the heat I keep the front curtains drawn and he will turn and check us out every so often. 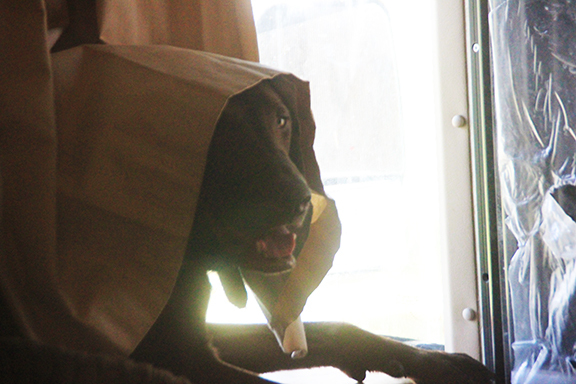 Sort of a "Lawrence of Arabia" look. Finally, one of my favorite photos. 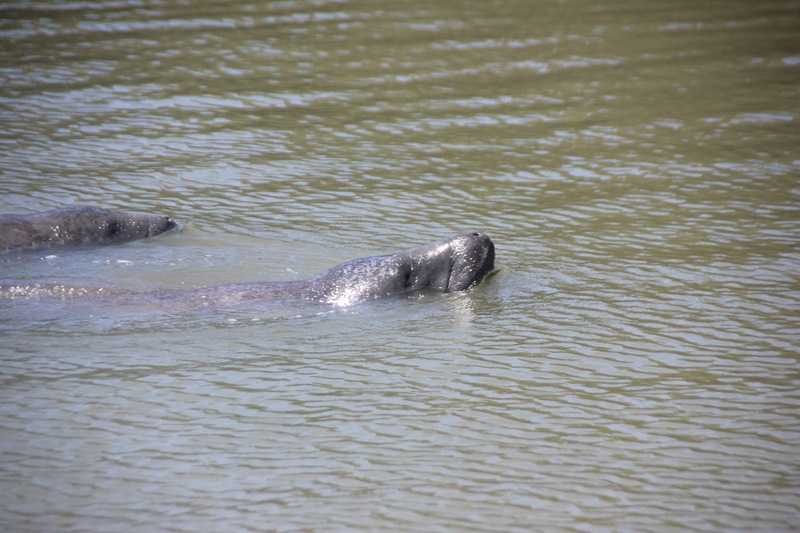 I may have told you we went to see the Manatees and I was able to capture these too coming along. They remind me of large water dogs. 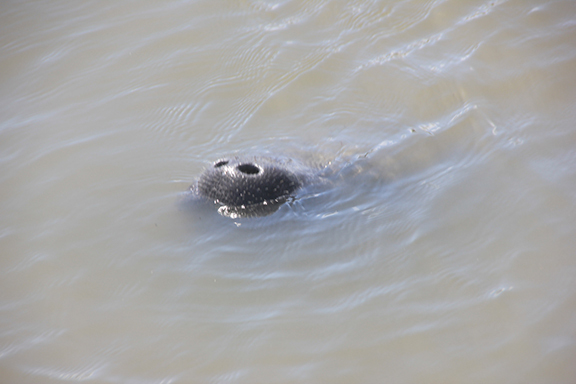 years ago when we first moved to Florida we went to a park close by and there were about 4 manatee. I didn't know then we weren't supposed to touch them but as I laid on the dock, one came up to me and rolled over on it's back so I could rub it's belly. It had to have been the best experience next to snuggling with our fur kids now. 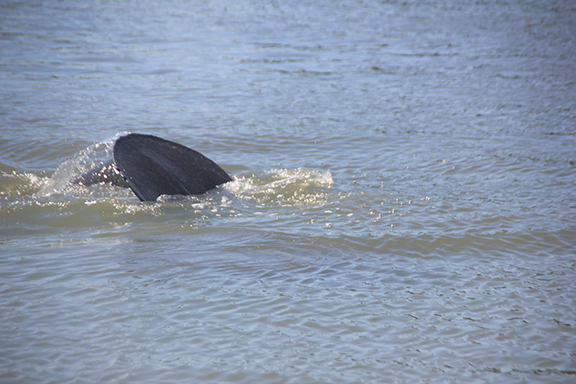 Swimming on his back! I think of them as incredibly large puppies. So, the end of the tale!! See you soon and stay cool!!! Florida would be too hot for me at this time of the year, but the Oregon coast is almost too chilly. Where's perfect? Could I have some of your chilly for a day? Lol I know Judith, seeing the weather around the country right now it's tough to say where it would be a good place.